West Texas Intermediate rose for a second day despite the Energy Information Administration reporting a higher than expected increase in US crude oil inventories. WTI futures settled at $103.92 per barrel, up almost 0.4% from the previous close, fuelled by concerns of the escalating crisis in the Ukraine. WTI climbed during the course of the day climbing as high as $104.18 per barrel before falling sharply after crude data inventories were released. Unsurprisingly, spot gold proved to be volatile on Wednesday as prices swung from highs to lows after the sell off that was experienced on Tuesday. Gold prices climbed as high as $1,304.25 an ounce before falling to close the day down at $1,301.17. Gold traders were receiving mixed signals on Wednesday; rising geopolitical tensions in Ukraine helped push gold prices higher, while a rallying equity market and dovish comments from Janet Yellen pulled it back down. West Texas Intermediate fell below the $103 per barrel level during Tuesday's trading session, with investors worrying over Chinese data which showed a reduced pace of economic growth. However, the fall in prices was short lived due to mounting tensions in Ukraine, with the country on the brink of Civil War. As a result, the WTI May futures contract ended the session 5 points higher at $103.80 per barrel. Poor growth figures in China spelled trouble for gold markets on Tuesday as fears loomed over slacking consumer demand in the Far East. Spot gold fell as low as $1,290.32 during the session before climbing a little to close the day at $1,303.10 an ounce, down 1.8%. The fall in prices was further accentuated by profit taking as investors cashed out on gold's recent rally on the back of tensions in Ukraine. Despite rising concerns over the Ukraine, West Texas Intermediate declined by as much as 0.8%, hitting a session low of $103.36, amidst speculation of increased inventories in the US. The commodity fell from a 6 week high, with stockpiles estimated to have expanded by 1.5 million barrels last week, in what would be its twelfth gain in 13 weeks. Gold continued its three week climb on Monday, with the precious metal being fuelled by the increased hostilities in Eastern Europe. Gold's safe haven appeal came to the rescue of investors once again as it climbed as much as 0.7% to $1,327.10 an ounce. 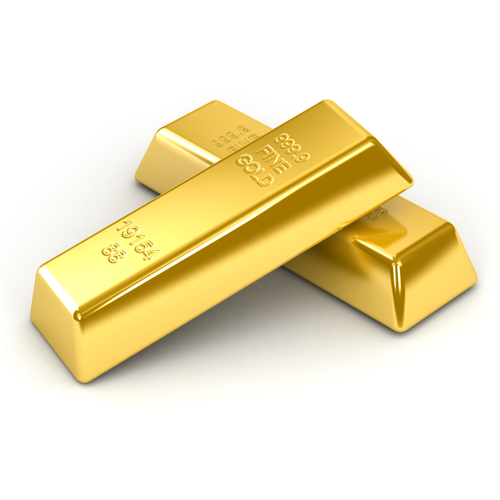 Monday proved to be spot gold's fourth session of gains in 5 days after reaching two month lows earlier in the month.